Did you guys see that My Little Plumcake just released their spring line? 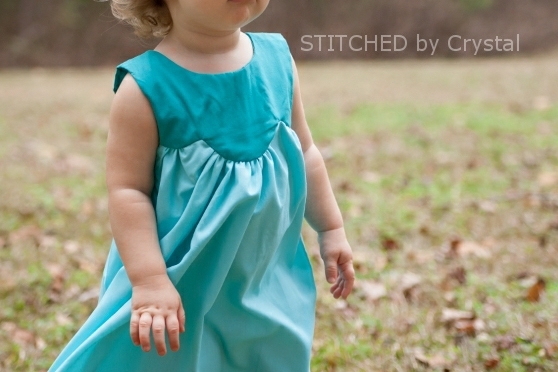 I helped to test a few of the patterns; The Chloe skirt, the Addie shorts, and this sweet little dress. I made this dress out of a cotton I picked up at Walmart. It is really light weight, which makes it perfect for a spring and summer dress. And this dress is fully lined so I didn't have to worry about it being see through. I like the yoke detail on the front, it is girly and different than any dress I have seen before. 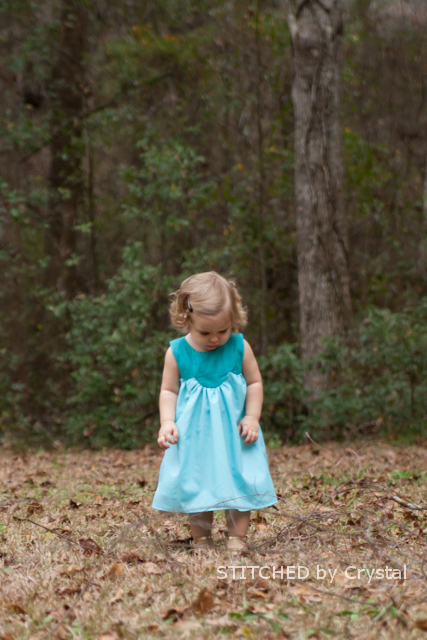 This dress is in the running for Em's Easter dress, especially if she grows out of her Caroline I was originally planning for her to wear on Easter. 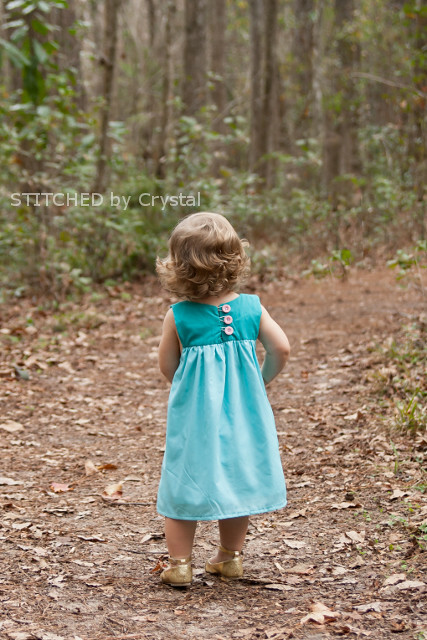 The back of the dress closes with three buttons with little loops. I used some contrasting pink buttons I found in my stash and a little elastic for the loops. I sewed the size 18 months for Em. It is on the long side for my shorty, but I like that she has some room to grow into it. What a sweet dress! I love the colors you chose! 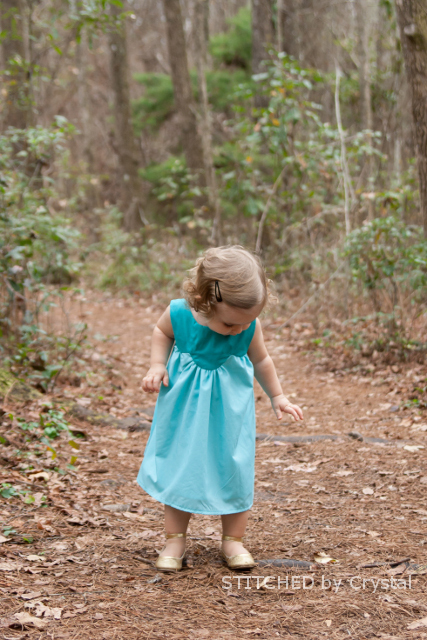 This beautiful dress with the correct fabrics would be perfect for a flower girl. 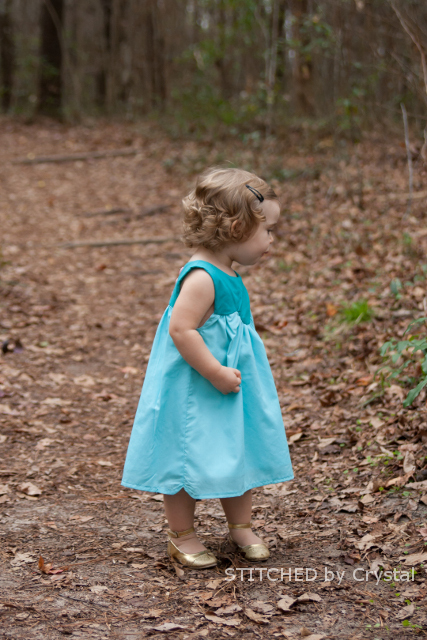 I have a nice turquoise fabric and I can't wait to buy the pattern and try to sew the dress.